Chabad will be hosting a full schedule of events during graduation weekend: Friday night services and dinner, Shabbat services and lunch, Seudat Shlishit and an Open House brunch on Sunday. 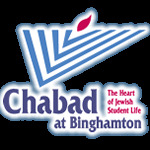 Yes, we would like to join in the graduation weekend festivities at the Chabad Center! Please mark this gift with a sign displayed in the Chabad Dining Hall and an announcment in our weekly email.